How your relationship is going to change in 2019? Taurus: You know what mistakes you have committed, and the faster you learn to accept them, the better will it be for you to move on in life. Sun in Capricorn suggests you need to start moving forward and embrace the sense of acceptance. Read your Taurus today love horoscope! Gemini: The most significant life lesson that you have learned this year is that it’s not always black and white. There are plenty of practical solutions to a problem. You need to keep an open mind and approach everything with a positive perspective. Read your Gemini today love horoscope! Cancer: This year has turned out to be an eye opener of sorts for you people as you have just realized how far you are from the place you want to ultimately reach. Sun in the sign of Capricorn will help you get over it and will further fuel your ambitions to help reach the pinnacle. Read your Cancer today love horoscope! Leo: The theme for you this year is new. And since it’s a new year, everything is set to start fresh including the Earth which is on its way to a new rotation as the winter solstice takes a turn. In this newness, you too got to stay optimistic and you shall manifest great achievements. Read your Leo today love horoscope! Virgo: New year always brings in a sense of assurance with itself. If things didn’t work out this year, it will be better the next year. 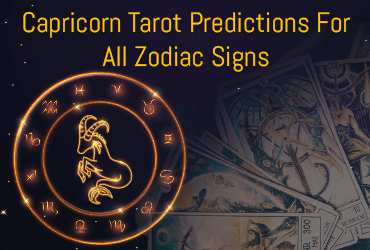 Tarot predicts a promising future for you in 2019. All you need right now is to realize your true strengths and face the weaknesses to improve yourself further. Read your Virgo today love horoscope! Libra: Your Tarot spread is aligned in a way that it encourages you to take on more risks and be confident of yourself. Don’t fear the changes even though they’re scary. When you’re presented with an opportunity, be sure you ’re courageous with your approach and you do whatever it takes to seize it. Read your Libra today love horoscope! Scorpio: Sun in Capricorn is considered a positive sign for #career. This new year you’d be feeling much more confident and will definitely be looking for making some significant changes. 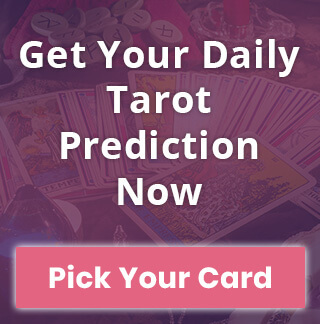 Your Tarot energy suggests you should go for it and explore more prospects. Read your Scorpio today love horoscope! Sagittarius: Usually, this time of the year you can expect people to spend a lot on gifts and presents and occasionally splurge some on themselves. But amidst all this, you must always remember that money can’t buy you everything. There is much more to life than pandering and materialism. 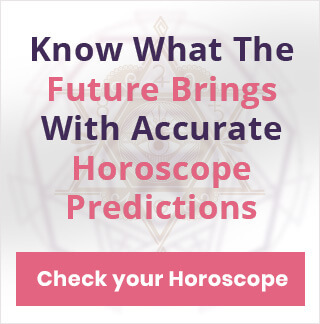 Read your Sagittarius today love horoscope! Capricorn: Officially, it’s your time of the year. If you think about it, you can consider this season as your personal new year celebration. However, don’t forget there are other important things in life as well. And once you’re done celebrating new make sure you’re back to the routine. You need to maintain your focus this year. Read your Capricorn today love horoscope! Aquarius: Technically, there is nothing other than the date that changes at the turn of a new year. But we still make it look like as if the whole world has went upside down and that’s mainly because we carry such a mindset. Your Tarot spread tells the same story and predicts all the strength that you seek in the outside world is actually inside you waiting for you to recognize it. Read your Aquarius today love horoscope! Pisces: This year should be pretty cut and dry except you have to make more efforts in keeping up with your relationship. Sun in Capricorn may pose a certain bit of challenges in terms of compatibility and trust between you and your partner so be prepared for things to get heavy. Read your Pisces today love horoscope! There are lots of positive changes waiting for you in the year ahead. So here’s wishing you good luck this new year.